Very often I wished that I could control a potentiometer in a Lunetta circuit with a voltage controlled resistor. Of course, you immediately think about vactrols. Commercially available vactrols are nice but expensive. A simple do-it-yourself vactrol is easy to make, but the non-linearities of the LED and the LDR make it really hard to control. This is a circuit that I am using to tame those non-itineraries and create a well-behaving voltage controlled resistance. The DIY vactrol consists of a bright flat-head LED and two GL5528 LDRs in a heat shrink tube package. I chose an amber LED simply because I happened to have those available. The reason for using a flathead type LED is that it nicely fits next to two GL55xx LDRs in a 5mm shrink tube when you bend away the two wires right at the body. Two layers of black shrink tube are required to seal the package properly, so I wrapped the result in another piece of 6mm shrink tube. I tried several LDRS like GL5516, GL5528, GL5539, GL5549 and found the GL5516 and GL5528 types work better, because I do not need the high resistance when dark that the other types provide. Resistor R1 forms a simple voltage divider with LDR1 and is used to feed back the current voltage from the divider to the opamp, which then regulates the voltage at the LED. You can adjust the range of the controllable resistance by changing the value of R1 and the Vdd voltage that you apply. I am using 5 Volts Vdd here. The 1M resistor and the small capacity at the opamp dampen the regulation a bit. The second LDR2 is illuminated by the same LED and thus has approximately the same resistance as LDR1. This LDR can be used to replace a resistor or potentiometer in your circuit. The nice feature of this circuit is that it can replace a resistor or potentiometer with two floating terminals, for example in a filter, and make it voltage controllable. 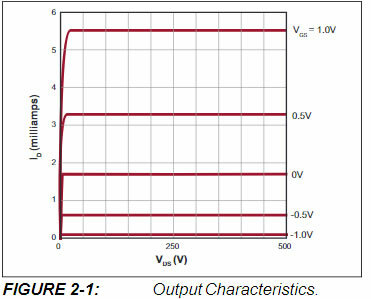 The response of the resistance to the control voltage is a bit delayed, because the LDRs respond rather slow, but more than fast enough to use this circuit with a voltage coming from an LFO. My control voltages are typically in the range of 0 to 3.5 Volts, because I used LM358s at 5 Volts frequently, so that is the range that I measured. The image below shows the circuit and the resulting resistance at LDR2 for control voltages in the range of 0 to 3.5 Volts. Quite neat, isn't it? nice idea with the feedback. With flathead do you mean a rectangular/square LED or a round one with a flat top ? I think the correct name is straw hat. Rounded top, but for wide angles. The response is still not linear, but that can be fixed. Using the second opamp in the LM358 package, I am creating a constant current source for the LDR1 sensor. This gives me a linear response between CV=0.25 and CV=3.5 Volts. The minimum resistance of the LDR at CV=0V is about 2800 Ohms in my case. The desired maximum resistance at CV=3.5V can be controlled by R1. I'm not saying this is of any use but I did play with the n-channel depletion fet LND150 as a LED driver. An improvement could be to mount each LDR to its own LED and place the LED's in series.